Utilising the H-Lever handle the torch automatically maintains tip to work distance based on trigonometry function. The 600D & 1000D are easy to set up with just two adjustments. 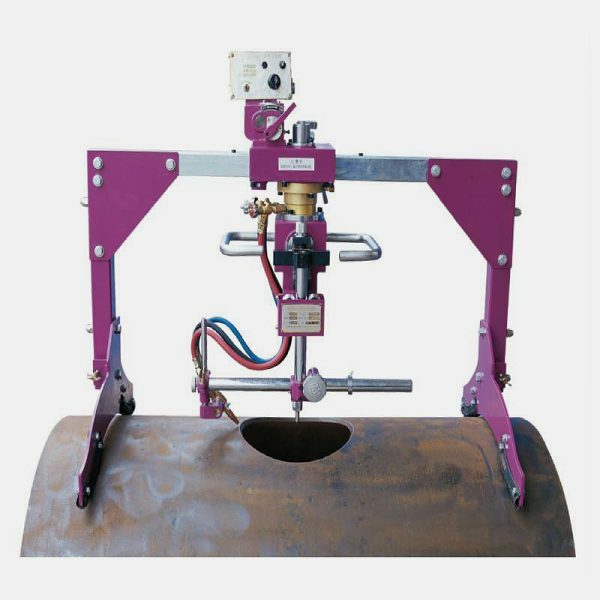 The machine’s are equipped with a rotating gas manifold which prevents hose tangling, and an automatic tip stand off ensuring high accuracy bevel cutting. The On/Off drive clutch enables accurate and quick tip positioning. This machine can also cut circles onto flat plate.